Creme Eggs and Cake Eggs - Happy Easter! | What Smells So Good? Are you a candy fiend at Easter? I know that my sister and I couldn't wait to wake up on Easter Sunday (doubly so if it was one of our birthdays, which always bracket the holiday) to scour the house for those tiny, milk "chocolate" foil wrapped eggs and maybe a "big" treat somewhere along the way. 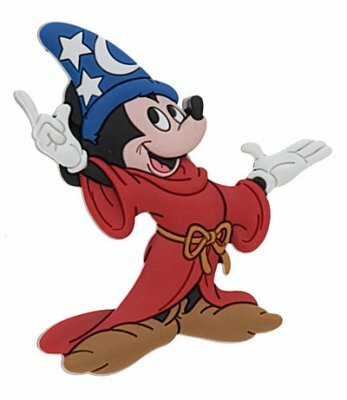 I remember as a small child finding a huge (to me) hollow chocolate Mickey Mouse in his Sorcerer's Apprentice robe and hat, and trying to make it last by eating it so slowly that my mom finally told me just to eat the darn thing or she'd throw it out. Then, the infamous Creme Eggs came out and any hint of restraint I might have had disappeared. My "big treat" was a 3-pack of them, and a handful of the miniature ones as well. While at least one of the larger ones disappeared within about 30 seconds of me finding them, Mom would insist that I save the rest for later - and the best way we kept them out of sight was to stash them in the freezer. In effect, this move slightly backfired, since I discovered that freezing the mini eggs made them taste better than at room temperature. School was another Easter blowout in terms of treats. We had a weekly "bake sale" fundraiser to subsidize our field trips at the end of the year, and just before we all went off for our long weekends the table was always laden with things you wish the Bunny would leave you. Orange jelly beans in cone-shaped bags with a layer of green ones on top for the "fronds", Jell-O eggs, storebought cupcakes and sugar cookies (there was always one in every group) and the like. But my (and most other students' favourite) were the chocolate covered, egg shaped cakes that one of the kids brought in. This was before the world of food blogging (we were still working off DOS at school), and certainly before the Cake Pop exploded onto the scene, but they were essentially the very same things, just egg-shaped. We had lemon, carrot, vanilla and chocolate varieties over the years, and when I finally found out that it really just was a case of marked down, slightly stale cake from the bakery in the grocery store, a little flavouring extract and either milk or frosting that made them taste so delicious I couldn't believe it. I know, right? Cheap (or free! ), so dead simple, but so effective to get the coatings done with minimal mess! In a bowl, beat together corn syrup, butter, powdered sugar, vanilla and sea salt. Remove 1/3 of the mixture to another bowl and stir in the food colourings. Roll 18 small balls of the "yellow" mixture and place on a plate, freeze until solid. Make 18 pieces of the "white" mixture and flatten each into a rough disk. Place one frozen "yolk" in the centre of each "white" and wrap the white mixture around it, smoothing into a rough egg shape. Place completed eggs on a plate and chill. Melt the bittersweet chocolate in a double boiler or microwave and dip the eggs to coat. Allow to harden completely at room temperature. Crumble the cake into a bowl and allow to dry out at room temperature overnight. Stir in the peanut butter and salt, "mashing" the mixture with a spatula until "doughy". Scoop out 15 balls of the mixture and shape into eggs. Place on a tray or plate and freeze until solid.